Front is made with thick water resistant neoprene. Is the inside of your car feeling a little drab? Looking for something to spice up your hours of driving? 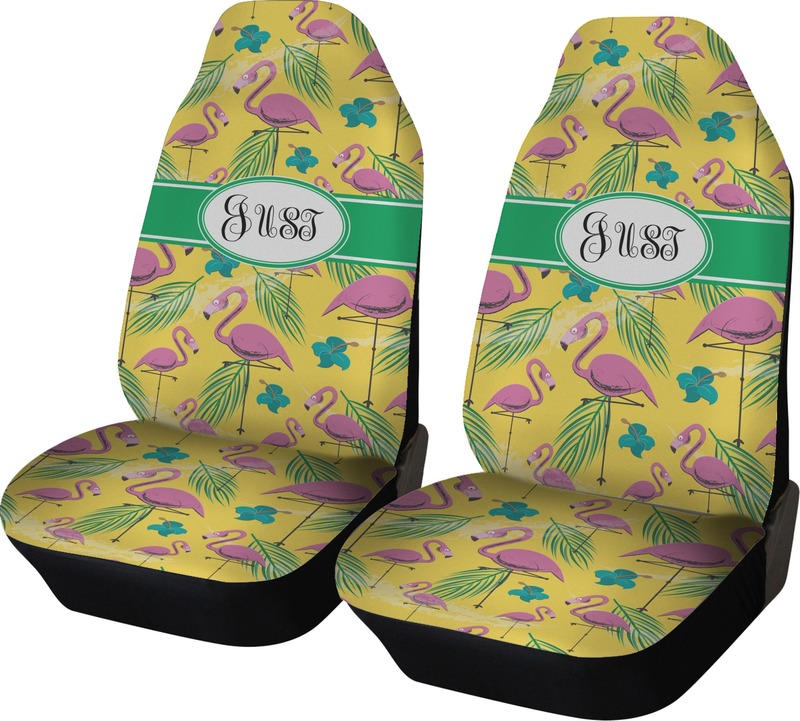 These personalized car seat covers are truly the perfect way to make your drives more exciting. It may even help brighten your mood on the daily! Don't settle for boring anymore! These seat covers are made from thick, water resistant fabric for seat protection and also provide added comfort. The covers pull over the seat for quick and easy installation. Our car seat covers are a universal seat cover that are designed to fit MOST bucket seats without built in armrests. They are approximately 53" x 20" x 8.5". Be sure to measure your car's seats before purchasing to ensure complete satisfaction! WARNING: These car seat covers should NOT be used on a seat with integrated airbags. Our car seat covers have your design on the front, while the sides and back are a solid black polyester. There is a piece (see picture) that is tucked through the seat to hang out the back. Two straps from the sides come around the back of your seat attaching to this middle piece to hold the seat in place at the back. These cute car seat covers not only cover the front of your seat, but the back as well. If your seat cover gets stained, be sure NOT to machine wash it. Instead, hand wash using lukewarm water and a mild detergent. Swish around the cover and rub the material together to clean extra dirty areas. Thoroughly rinse in cool water and let air dry. 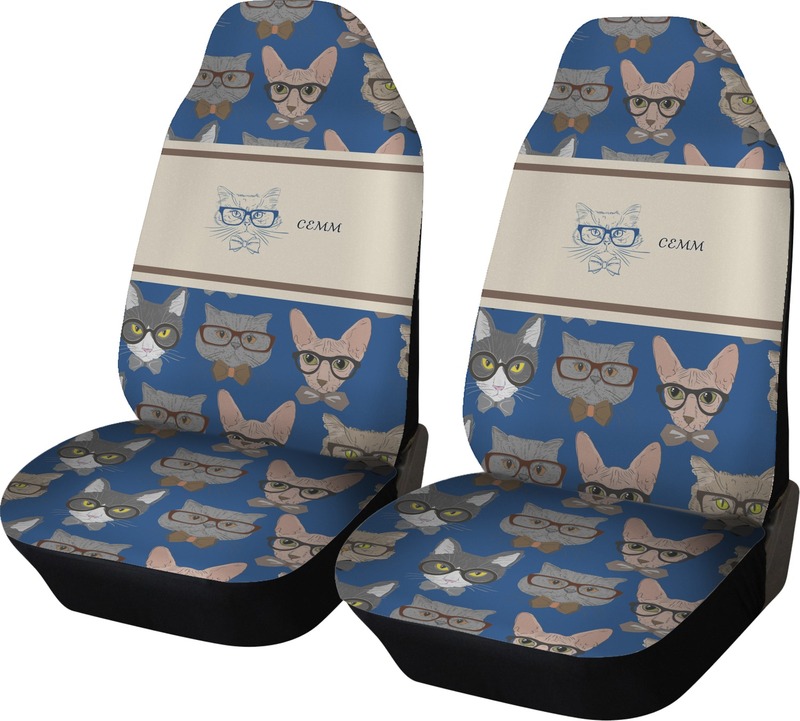 Our custom car seat covers come in several designs and colors - so have fun and design one that will match your car color. Not only that, but you can have it personalized with your name, monogram, or name and initial! Start designing online now with our user-friendly design center. If you ever need any help using our design center, don't be afraid to ask! Decking out the whole car? Be sure to visit our Car and Automitive department to find personalized mirror ornaments, cute seat belt covers, fun steering wheel covers, back seat organizers, and more! I bought these for my 16 year old daughters birthday! She lived them. The material is strong and the colors are vibrant. It was a little expensive but I believe they'll last awhile. Love these! Installed easily and look great, plus slightly cushioned. These will protect my cloth seats and make my seats last longer. And the personalization looks awesome. I love my car seat covers, they are so original and so me!!! I have bought the exact same ones that say "Jenn" and with the news set of "just" on them. I am putting one of each on my car seats so they will say:"JUST JENN" . Thanks again for doing a great job.